You�re heading to your favorite hunting spot, trying somehow to haul your gun with you, dead set on shooting that trophy buck you�ve been seeing. Only there�s no room to set your firearm in the front with you and it�s snowing outside so you don�t want to put it in the bed of your UTV. 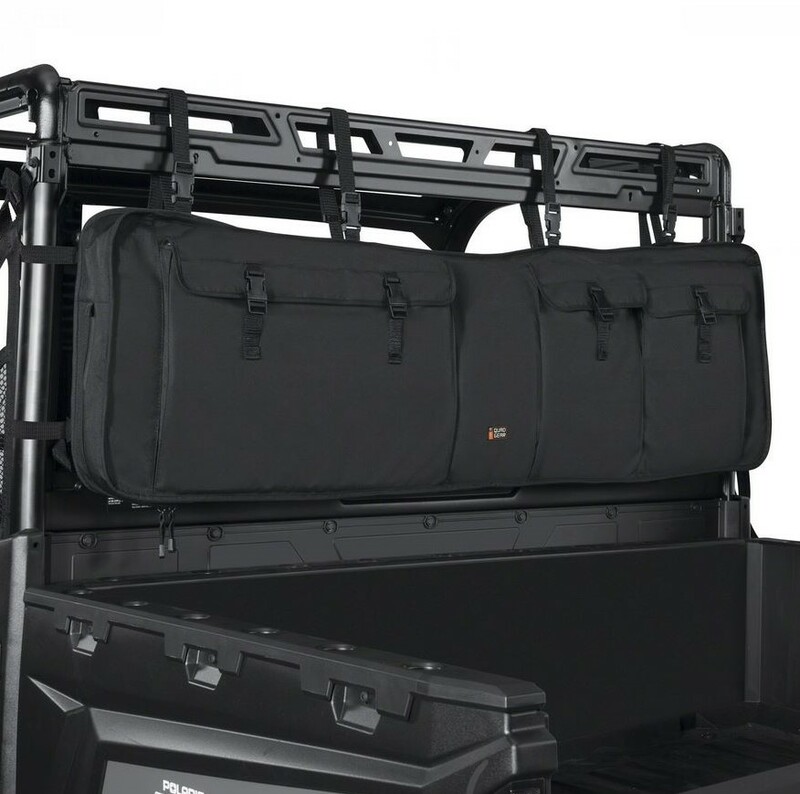 With the Black Double Rifle Case by Classic Accessories you won�t have to worry about traveling with your firearms any longer. 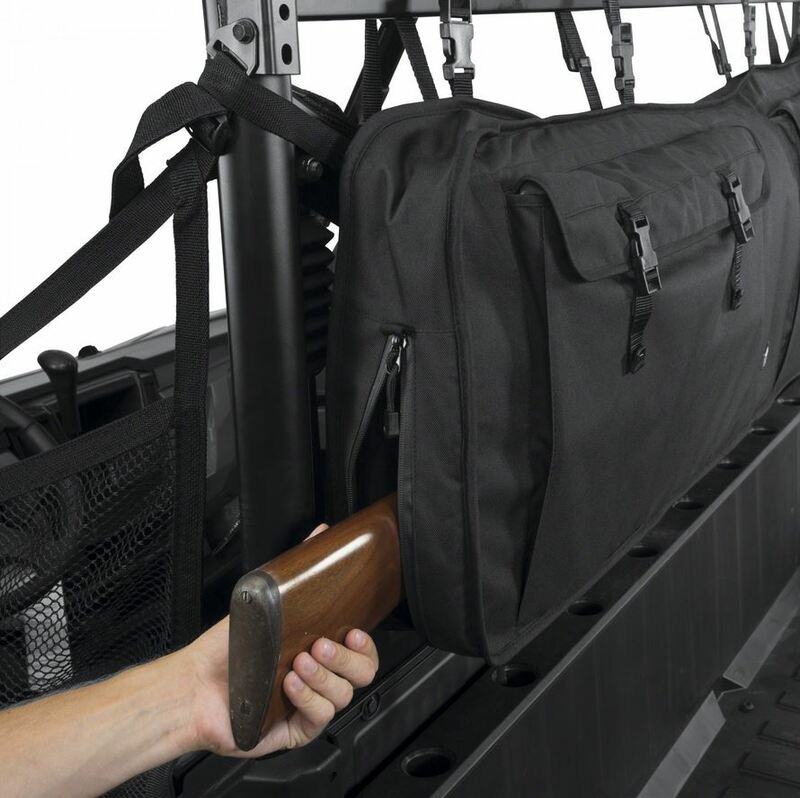 This Classic Accessories Rifle Case is made with heavy duty fabric, water-resistant backing, extra-thick padding and exterior coating ensuring that your equipment will be protected from scratches and the elements. 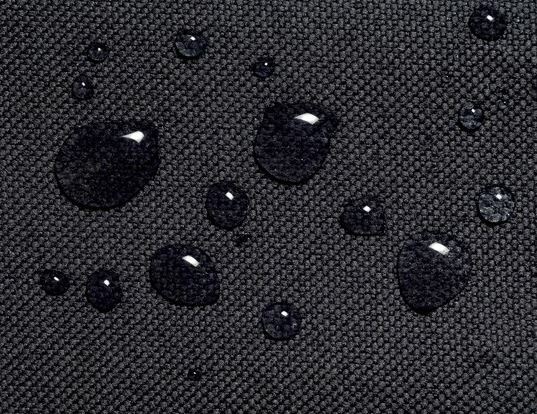 Even the zippers are weather resistant giving you protection from leakage. One rifle or shotgun fits in each side and there are three large pockets for extra shells or other items, leaving you plenty of room in your seats to bring a friend along. The quick-release buckles with heavy duty straps attach securely to the back of the UTV roll cage making installation and removal fast and easy. The next time you go out, use Classic Accessories� Double Rifle Case and make sure that your equipment comes back home safe and sound! I bought this to put on the back of my RZR while hunting. It says that it�s waterproof, but it definitely is not. After the very first night, no rain just some moisture in the air, go to grab my gun in the morning and it is soaking wet inside of this gun case. All zippers were closed I�ll pouches were closed, and immediately started causing rust spots on my barrel. I emailed the manufacturer when I got back from the trip a week ago and have yet to hear back from them. Product received on 2nd day after ordering, was just what I wanted and Side by Side Stuff sent a thank you card after receiving the purchase. Fits great and looks pretty cool! Unfortunately, it is not so water resistant... Sat overnight in a good rainstorm and inside of rifle case was pretty soaked. Took about a week to fully dry out. Great for good weather and light mist/rain but take it in when it pours.